White Tips Nails Discount Voucher! I love having my nails done but on a student budget it can be hard to maintain! 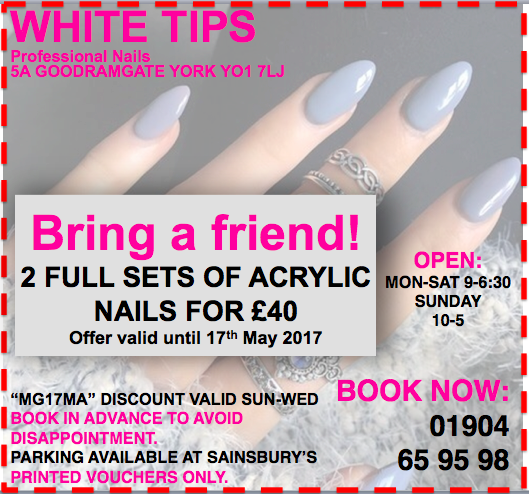 White Tips is a nail salon in the centre of York, by Monkgate, and is usually my go to for my acrylics because it's a high quality manicure at a low price. The ladies at White Tips in York were kind enough to offer my readers lots of discount vouchers, which will be posted exclusively on this page. 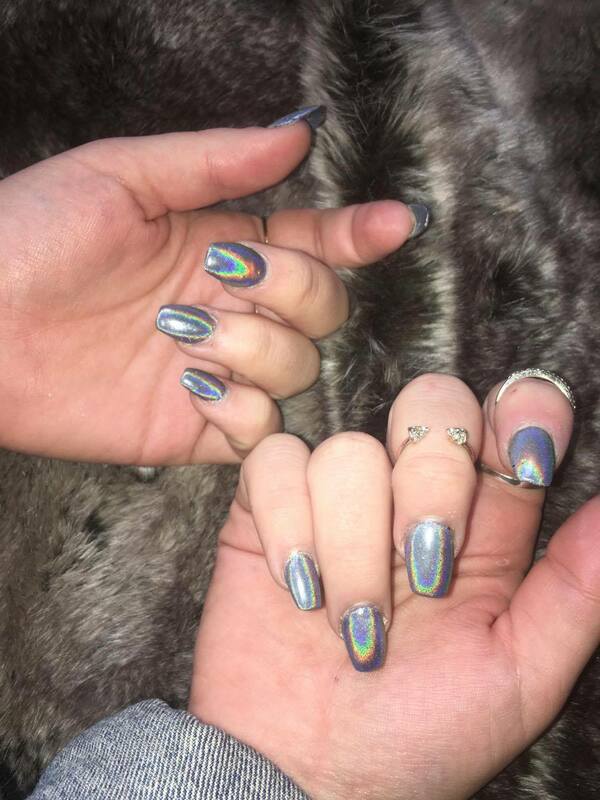 With this voucher, you and a friend can get a full set of acrylics for just £20 each. Make sure you print out this voucher, it won't be valid on your phone screen. Valid Sunday-Wednesdays.